Can you guys believe it’s almost September? For me, the onset of Fall always means new beginnings. Recently, I did a massive closet purge (what else is new?) and it felt so good! By nature, I don’t hang on to stuff and have no problem letting go if it’s something I haven’t worn in a while or seems dated. Since I added some new goodies to my wardrobe at the #Nsale, it was definitely time to let go of some stuff. I mostly purged Summer items that I kept in my last purge and if I didn’t wear it over the last three months, off it went to be donated or consigned. When all was said and done, I noticed that my wardrobe had evolved as of late in terms of color- I have a ton of neutral now. 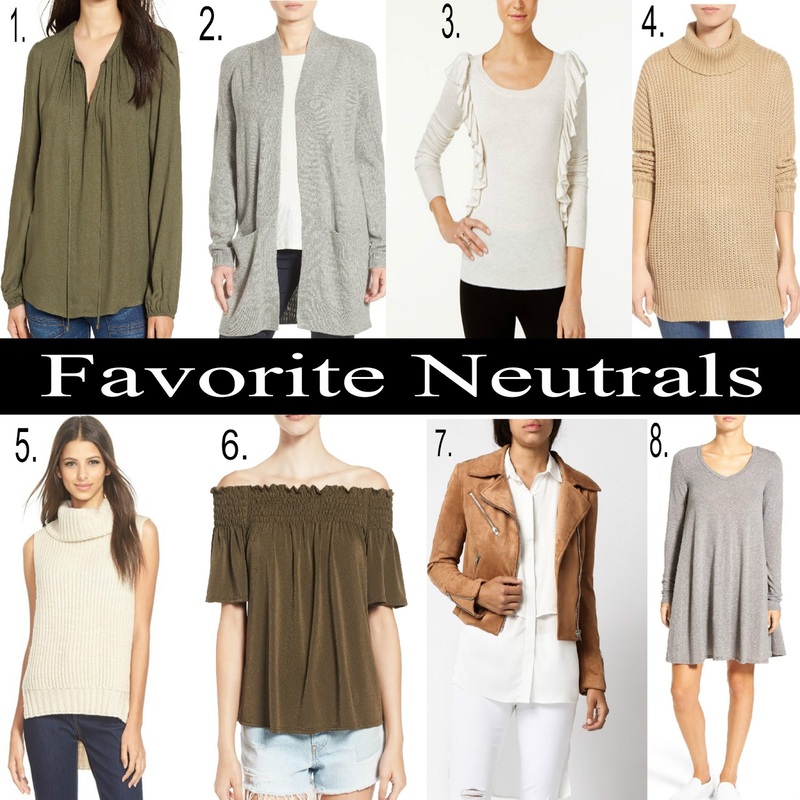 In fact, almost every item I purchased from the #Nsale was a neutral color. To take it even further, everything I’ve pinned on Pinterest lately is in a neutral hue (check it out here)! As a side note, am I the only one that is still totally in LOVE with Pinterest? Back to the topic at hand.